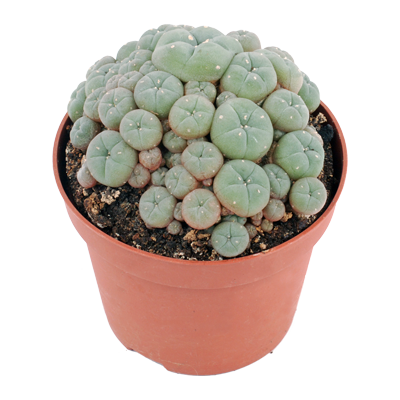 Peyote (Lophophora williamsii) is a small desert cactus that has several active alkaloids of which mescaline is the most well know. Naturally they grow in Northern Mexico and southern US. 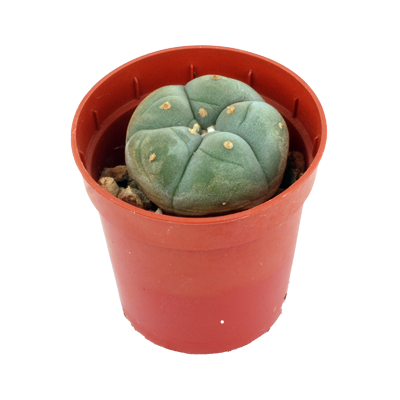 Our peyote are available in different sizes and growing in clusters. Peyote is a slow grower. Our peyotes grow around 1 cm in diameter a year. Peyotes grow in the southern part in Northern America. Mostly around the Mexican/US border in the dry desert. Peyotes grow rather slow in the wild, and will start to contain enough mescaline when they are around 17 years old. Picking the Peyote button in the wild is prohibited. Peyotes are endangered and should be left standing. 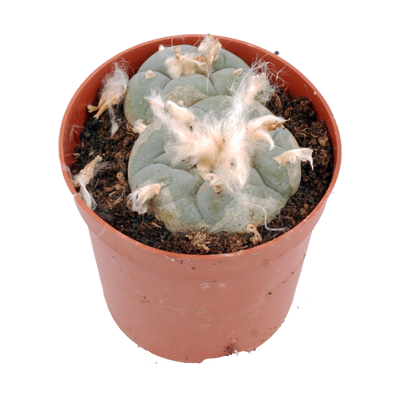 It is rather easy to grow peyote yourself, and in the right conditions peyote grow relatively fast. 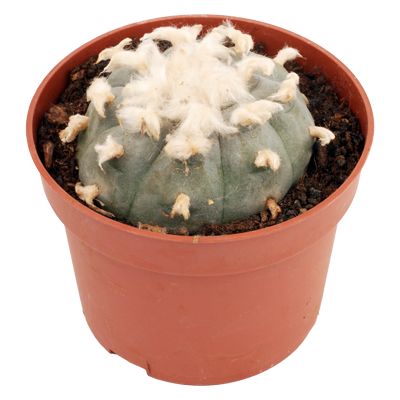 Peyote need only a few drops water every two to three weeks. In the winter time (december to februari) they need no water at all and no artificial light either. They will not grow in this period anyway. 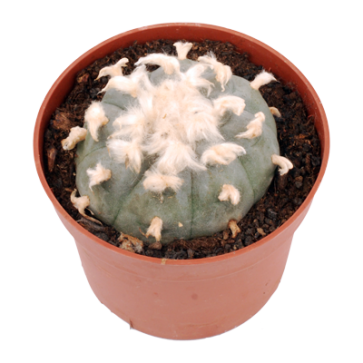 The peyote buds can be eaten and chewed slowely. This is rather challenging, since the taste of the peyote is awfully bitter. Another idea is to cut them up and blend them with grapefruit juice. Yet another method is to dry them en grind them to powder. This powder can then be encapsuled with a capsule machine. When having the fresh buttons, it is always difficult to dose it correctly since the active ingredient content differens from cactus to cactus. Never take all the buttons at the same time. Take the first few cacti and wait 45 minutes at least before taking another. Always remove the white fluff on the cactus before eating or processing them. The fluff is toxic and can iritate the throat. The trip can last somewhere between 5-24 hours. So it is rather important to keep the day and next day free from apointments. The effects can best be enjoyed in nature where the vision is not obscured by obstacles. So the beach or wide fields, plains are the best environments. Unlike mushrooms, the forrest is not the ideal place to have them. To order this product you have to be 18 years or older. This product has shipping limitations. See the additional information. 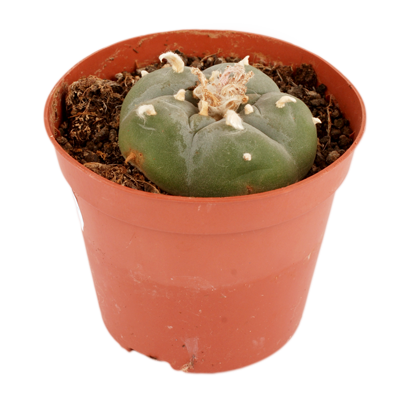 The use of peyote is at your own risk, so make sure to be well informed about the use and their effects.